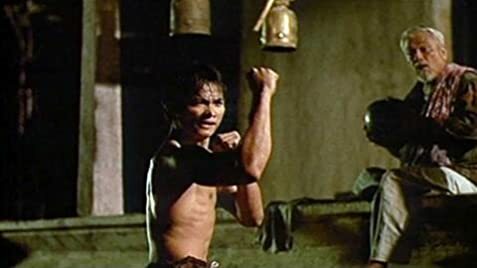 The Top 5 Best Thai Martial Arts Films Ever. Do You Agree? What does Iron Fist tell us about Marvel's Defenders? Humlae: At least let me help you start your motorcycle. Q: What are the differences between the International Version and the Original Thai Version? 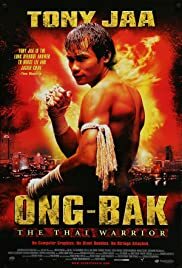 I saw Ong-Bak for the first time on the Stockholm Film Festival in November of 2003, and now recently saw it again on DVD. I usually see at least 4-5 Asian films on the festival every year and each one is a gamble. At worst Asian action films can be unbearably slow and dull with uninteresting action scenes and horrible acting. At their best they can be like a wonderful ballet with astonishing moves and moods. Ong-Bak falls somewhere inbetween these two. The story and set-up in Ong-Bak is nothing very original. The head of the village Buddha-statue (named Ong-Bak) is stolen which spells bad luck for the village. So they send their best man to the city to find the son who moved away, and they can search for the head together. Of course the villager is completely lost in the city and soon gets himself into trouble. So the story is nothing new, neither is the setup which is more or less van Damme standard fare movies like "Lionheart" except in Thailand. We see some street-fighting and some tournament-style fighting in seedy bars. So, what makes Ong-Bak stand out? Well, the fighting! I have seldom seen such well-made fighting scenes. Both well choreographed and plentiful! The thai-boxing done here might be very stylized to look good, but it really does the trick. The fights are simply put amazing! The lead actor really knows his moves and his acrobatics, and many times you can really feel the crushing hits as kicks and elbows hit home. Also the pace is very high with almost constant fighting in the last half of the movie. And it all looks very very nice. So, Ong-Bak is definitely for those of you who are suckers for martial-arts and fighting. 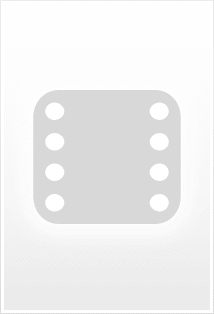 Don't expect an original story or terribly solid acting. But expect a fun ride, lots and lots of violence. And for me that's enough. Ong-Bak receives a 7/10. 80 of 99 people found this review helpful. Was this review helpful to you?